Oh happy day! My shows are coming back...AND new shows are coming!!! First, I have professed my love for Grace & Frankie, and season 2 is set for Friday, May 6. I can't even wait! Have you caught up? What are you waiting for??? I have been waiting for Unbreakable Kimmy Schmidt. I need me some Pinot Noir! Ellie Kemper Jane Krakowski and Tituss Burgess are back for season 2 Friday, April 16. Created by Tina Fey...this little gem is one of my faves. Orange Is The New Black is on my list, and I'm hanging my head in shame that I have yet to stream this one. I've got til Friday, June 17, so I better get streaming! House of Cards...to say I am a fan is an UNDERSTATEMENT. LOVE me some Kevin Spacey and Robin Wright. Guess what? We are almost on top of season 4! (Squee!!!) Did you catch the teaser during the Golden Globes? O.M.G. Go now, watch....I'll wait. Friday, March 4...it's a date. I'm gonna make my whoopie pies and binge the heck out of it! 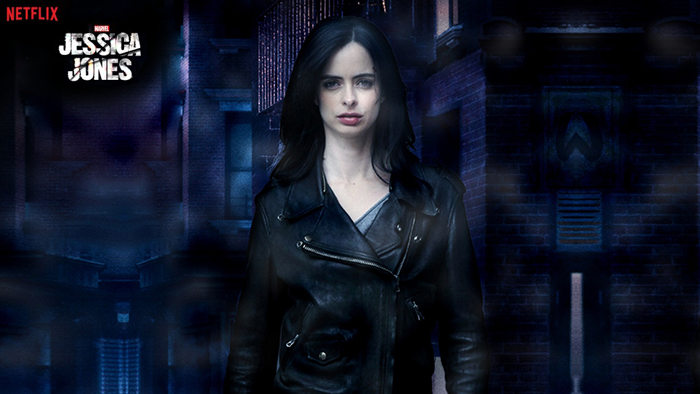 My current FAVORITE Netflix original series is Jessica Jones. Have you binged it? I PLOWED through season 1, and it. Was. AWESOME! Variety called it, "not just a contender for the title of best Marvel-related TV property [but] one of the year’s most distinctive new dramas." I could not agree more. The good news, it's coming back for a season 2. Yay! When a date comes out...I'll let you know. Flaked comes out Friday, March 11. It stars Will Arnett, who is IMO brilliant. The eight-episode comedy, set in the insular world of Venice, Calif., centers on a self-appointed guru who falls for the object of his best friend’s fascination. Arnett plays Chip, a man doing his “honest best to stay one step ahead of his own lies,” per producers. I only recently heard about The Ranch, and WOW what a cast! Ashton Kutcher, Danny Masterson, Sam Elliott and Debra Winger star in this comedy set in Colorado. It is ready for streaming Friday, April 1. I'm in! Stranger Things sounds like one to watch as well. It stars Winona Ryder as a mom who's son disappears. I like a good supernatural mystery and I've heard this show described as, "a love letter to ’80s classics." I'm looking forward to Friday, July 15 so I can dive in! OK, so I've shared what's on my list. Now it's your turn. 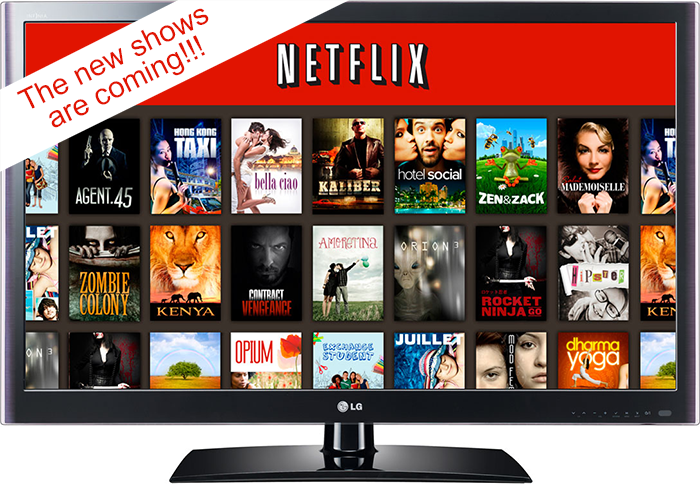 What are you looking forward to binging on Netflix in 2016??? I LOVED Jessica Jones and can't wait for the new season...Kimmy and Grace & Frankie are great too. I hadn't heard about Flaked but will check it out. Thanks for the heads up!! *writes down all these shows on a post it and sticks on my screen to watch later* AWESOME!!! Love House of Cards but Stranger Things has me super interested in seeing it. House of Cards is in Feb, I can wait that long, but Stranger Things...OMG it doesn't come out until July? Been waiting for the movie series: Frontier. Front what I have read it sounds like a good old western centered around fur traders of the west. Don't know exactly when the series starts, but it is 2016...something to watch for.